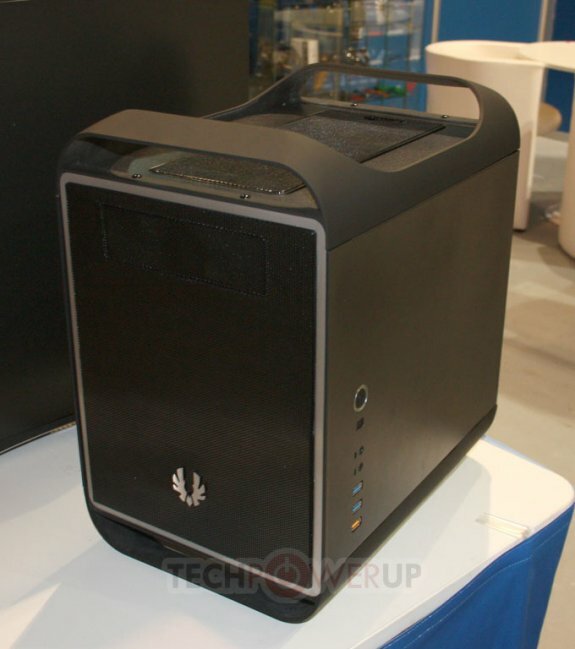 TPU received some photos of BitFenix's upcoming Ghost, an upcoming mid-tower case. 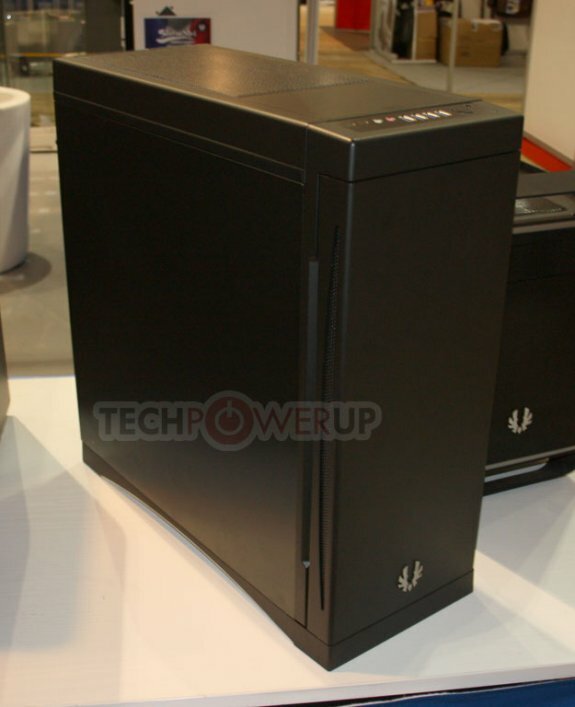 Seen below, the upcoming chassis has a black coating both inside and out, and features a front door that can be opened to the left or to the right, a top-placed I/O panel with four USB 3.0 ports, a built-in SATA drive dock (also found on top), and three 5.25-inch bays with tool-free mounting systems. BitFenix's Ghost also has four 3.5-inch and three 2.5-inch internal drive trays, support for micro ATX and ATX motherboards, three pre-drilled holes for watercooling tubing (all on the rear panel), a (removable) top mesh panel with a foam dust filter, and seven PCI slots (no fans though).